The Repertory Theatre of St. Louis opens its season with a knee-slapping comedy. The award-winning show “One Man, Two Guvnors” opens this Wednesday at 8 p.m.
“One Man, Two Guvnors” takes place in 1963 Brighton, England. The plot centers on a murder and an arranged marriage, but neither go according to plan. Alan (Luke Smith) and Pauline (Karis Danish) just want to get married, but the reappearance of her former, and presumed dead, husband-to-be puts a stop to their engagement. While all of this is going on, Francis Henshall (Raymond McAnally) just wants to eat. His only motivation to work is the reward of eating, and for a man of his size, the pain of hunger is agonizing. He has to take on two jobs to feed himself, but the addition of another job leaves him busier and hungrier than ever. The play was written by Richard Bean as a farce of “The Servant of Two Masters” by Carlo Goldoniand. 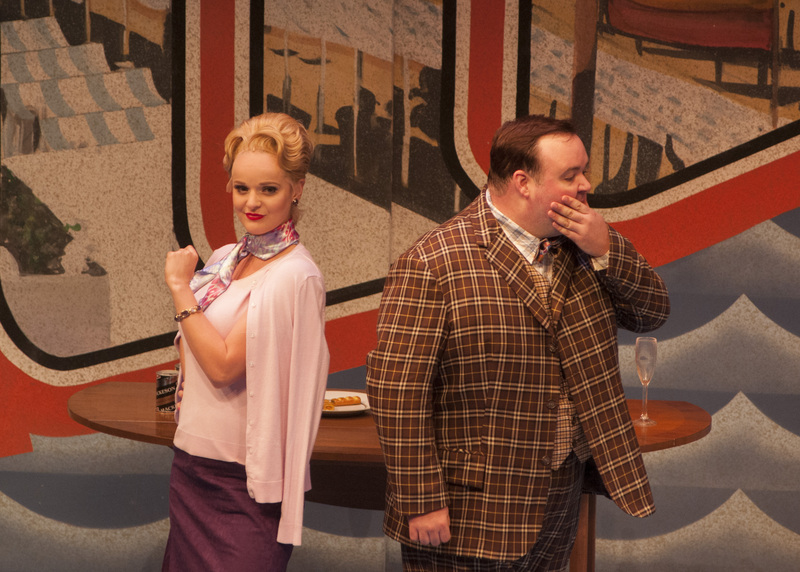 Directed by Edward Stern, “One Man, Two Guvnors” is full adult humor and is not for the faint of heart. The show runs from Sept. 10 until Oct. 5. Night show times are Tuesdays and Sunday at 7 p.m., Wednesday through Friday at 8 p.m. and select Saturday nights at 9 p.m. They also offer matinee performances, Wednesdays at 1:30 p.m., Saturday at 5 p.m., and Sunday at 2 p.m.
All shows are held on the Browning Mainstage at the Loretto-Hilton Center in Webster Groves. “One Man, Two Guvnors” will run about 2 hours and 20 minutes with an intermission. Tickets are $21 and can be purchased at the Rep Box Office in the Loretto-Hilton or online at repstl.org. Check online for a full schedule of Repertory shows this year.